The kitchen is the heart of the home. It’s where we cook, eat, entertain and spend time with family, so it’s important to get the design just right. If you’re considering a kitchen renovation, bear in mind there are various pitfalls to avoid if you want to save yourself time, money and stress. Here are some of the most common mistakes homeowners encounter during a renovation project and our tips for avoiding them. Start by picturing an end goal, your dream kitchen. What will this look like? Do some research and gather photos and design inspiration. Figure out exactly what you want and refine your vision until you know exactly what work needs to be done. Consider what will be involved in the project. Will you replace cabinets, countertops, outdated appliances and flooring? Will you need a kitchen island or an additional sink? Identify what are the must-haves and what are the nice-to-haves. The larger the scope of your remodel, the more important it is to develop and stick to a detailed plan. Planning and sticking to a budget is critical. To be safe, include an extra 10-15% cushion into this estimate, just in case unexpected problems or issues arise. A kitchen remodel can be costly, complicated and time-consuming. You’ll want to seek out a qualified professional to get your project started on the right track and see it through successfully to completion. Don’t hire the wrong GC! Never hire a contractor who makes you feel uncomfortable, no matter how appealingly low their estimate is or how highly they come recommended. If you sense your contractor is someone who you can’t trust, keep looking. Work with a well-established company with a solid reputation. If the only thing you ever put in your oven is frozen pizza, forget about upgrading to a fancy new induction range. A conventional stove will serve you just as well and save you thousands of dollars. Consider which appliances you actually use on a regular basis and whether or not you actually need a fancy new version. You can always upgrade appliances later. Materials can look a lot different in a showroom than they do in your actual space. Avoid committing yourself to a major design element (this can include countertop material or flooring) until you’ve brought them home and considered them in your space. It’s also a good idea to bring home several options to test in a lighting scenario that’s similar to your new space. Don’t get distracted from your ultimate goal. Have you ever made a run to the store to pick up one essential item and instead return home with $200 worth of things you don’t need? This can happen with kitchen remodels as well. As there are so many choices and options available, you may find yourself falling into this trap. That’s why it’s essential to make a wish list and stick to it. A common regret for homeowners after a kitchen renovation is lack of storage space. Don’t pass on seemingly small add-ons and other storage features (this includes cabinets, pantry pull outs, drawer dividers, lazy Susans, etc). Not only will these storage solutions increase the efficiency of your space, installing them during the renovation is preferable (and much less expensive) than adding them later. When planning out your dream kitchen, you may be tempted to try to squeeze in every last luxury. Before dropping money on a large freezer-fridge unit or big kitchen island, consider the functionality of your space – when placing appliances opposite each other, allow adequate space for both doors to open and people to navigate by. Plan your traffic flow carefully! Well-planned, versatile lighting is essential in your kitchen space. You’ll need spotlight task lighting for preparing meals and softer mood lighting for dining areas. Select bulbs at the brighter “white” end of the spectrum for task lighting, and warmer tones for living and dining areas. You want to change your mind… again. In the quest for kitchen perfection, many indecisive homeowners forget that time is money. You want to avoid a scenario that involves regret, reordering, and reconfiguration. Indecision may lead to delays, work order changes, and tapped-out budgets. Work with a professional to nail down a plan and stick to it. Don’t be afraid to remodel! You might skip a kitchen remodel just because it seems like too much of a hassle. Life is about thriving, not surviving, and you want to enjoy your living space to the max. With a little time and effort, you could have the kitchen you’ve always wanted. Find a professional to guide you through the process! The kitchen is the most complicated – and expensive – room in the house to design, so seeking expert advice at the start of a project can take the stress out of the process and save you money in the long run. 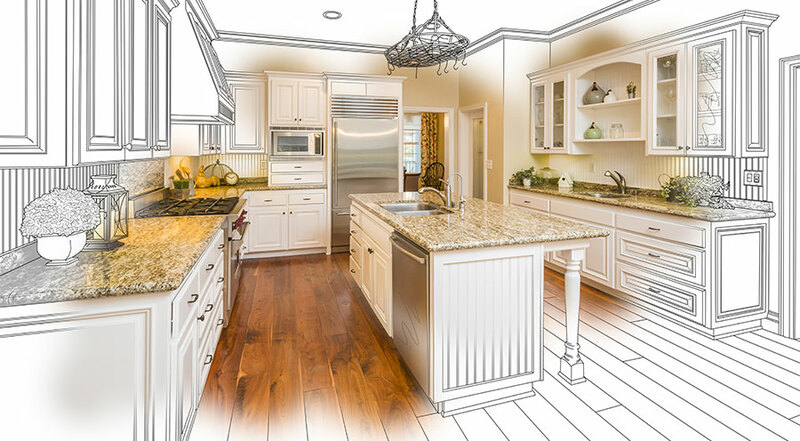 Even if you already have a good idea of what you want, a professional kitchen builder can help you fine tune your vision and avoid costly mistakes. Builders’ General has been helping homeowners complete their renovations since 1931. Contact us for a free quote to get started!